Project produced for both the Getty Research Institute, Los Angeles and Buchhandlung Walther König GmbH & Co.KG. It consists of 11 folders with 97 pages offset and letter-pressed, in a cloth-covered clamshell box with 24 foil-stamped quotations from "Echologs" by Virgil in the handwriting of Tuttle. 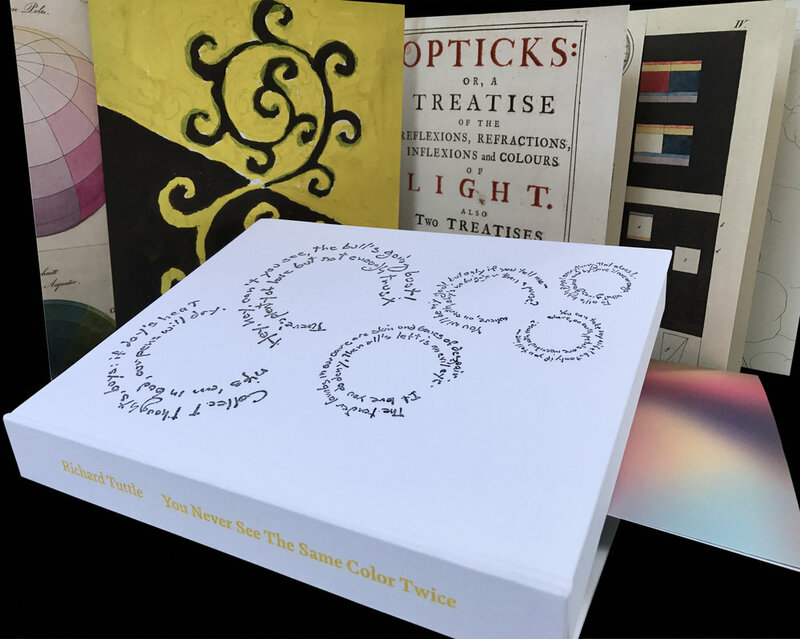 The book is published in an edition of 100 numbered and signed copies of which 10 copies are Artist’s Proofs. Entire production, through multiple deliveries, handled by the Actualizers.